Each with their own specific characteristics, there are five main carburizing methods; pack, gas, liquid bath, vacuum, and plasma carburizing. Process Carburizing, sometimes called cementation, is a process where carbon is diffused into the surface of a steel (usually a low-carbon steel) at a temperature well above the AC3 where austenite is present and the diffusion rate of carbon in steel is reasonably high. 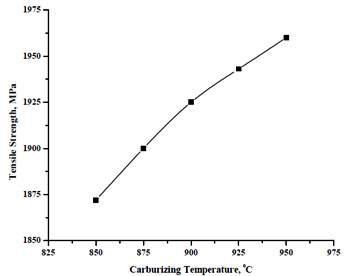 The carbon content increases according to the diffusion rate at the chosen temperature (generally 1700 to 1750°F, or 930 to 955°C) and the nature of the carbonaceous media used. 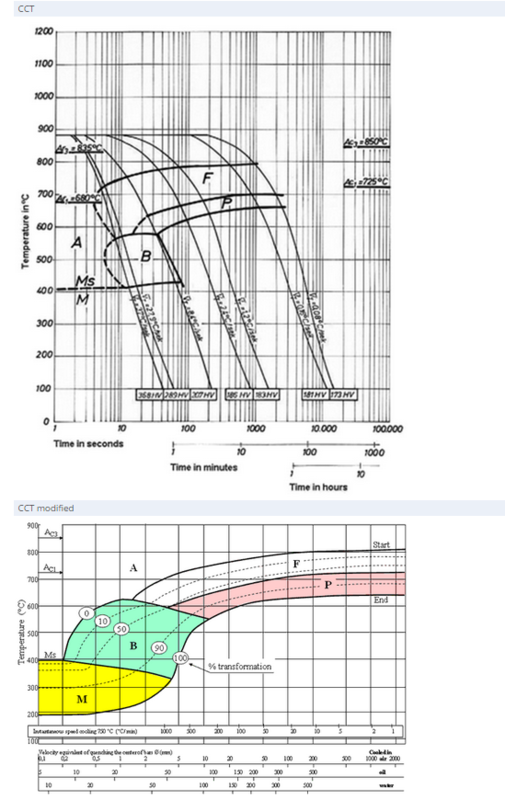 However, the carbon content in the case will not exceed the carbon content of austenite defined by the Acm line. 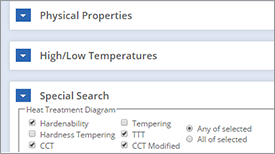 However, for alloy steels, particularly tool steels, the carbon content at the surface can easily exceed 3% after carburizing. There are five carburizing methods—pack, gas, liquid bath, vacuum, and plasma. Pack carburizing uses a furnace to heat the metal parts to be carburized that are packed inside a container with a sufficient amount of carbon powder. The heating process will last for 12 to 72 hours at a high temperature. This method is noted to be slow compared to the other methods and has heating inefficiencies because of the difficulty in maintaining an even temperature. Gas carburizing follows the same procedure applied in pack carburizing. It, however, feeds carbon monoxide (CO) to the furnace to improve diffusion, which is not done in the pack method. The process has safety issues because CO is a poisoning gas that is odorless and colorless and could be inhaled by persons working inside the plant. The gas method is preferred in carburizing large volumes of metal. Carburizing is one of the most widely used surface hardening technique. As mentioned above, the process involves diffusing carbon in to low carbon steel alloy to form a high carbon steel surface. Carburizing steel is widely used as a material of machines, gears, springs, automobiles and wires which are required to have high strength, toughness, hardness and wear resistance. 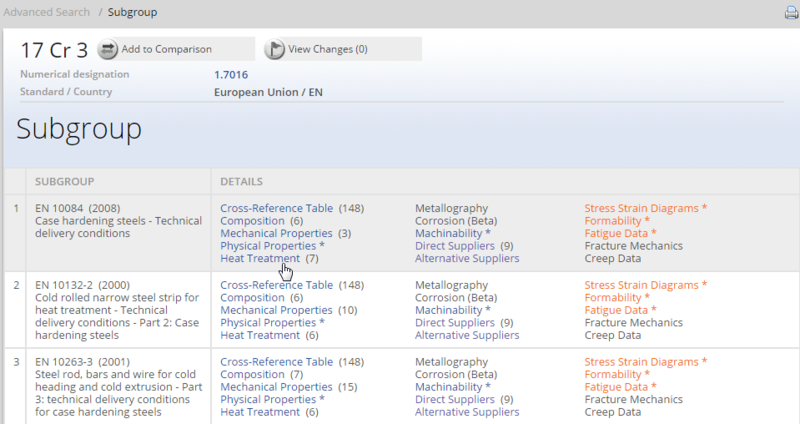 These mechanical properties and wear properties can be obtained from the carburization and quenching processes. The key to the successful improvement in carburizing, however, is understanding, and interpreting the microstructure of the carburized case. 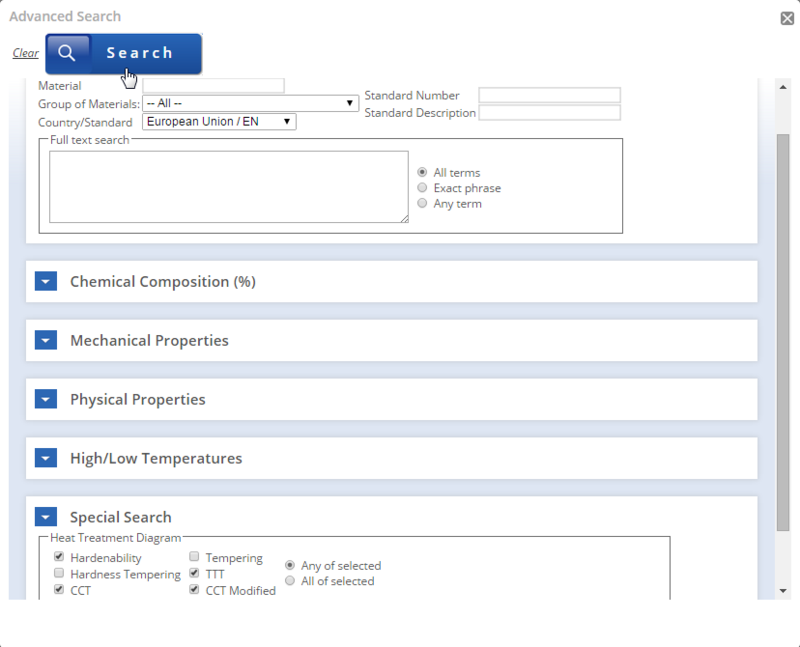 To illustrate the carburizing behavior of the steels, in the paper of L.-D. Liu, F.-S. Chen, three commercial steels, JIS SCM 415, JIS SNCM 220 and AISI 1008 were carburized in a two-chamber vacuum furnace at temperature ranging between 900°C and 1050°C in an acetylene atmosphere. 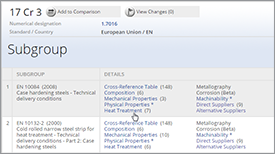 Steel SCM 415 consists of mainly 0.12% C, 1.0% Cr and 0.17% Mo, steel SNCM 220 consists of 0.18% C, 0.55% Mo, 0.42% Cr and 0.17% Mo, while steel AISI 1008 is a 0.058% C plain carbon steel. 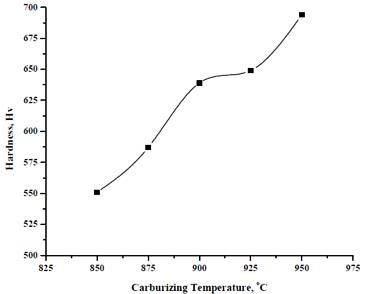 The carburized specimens were characterized for the hardness distribution and the microstructure of the carburized layers using thermodynamic analysis. 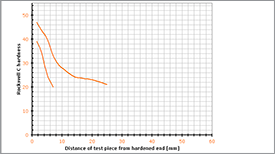 Experimental results show that, under the same treatment conditions, the SNCM 220 steel exhibited the best performance in both the effective case depth (ECD) and total case depth (TCD) of the carburized layers. However, the carbon concentration in the carburized surface of the SCM 415 steel was higher than that for the SNCM 220 steel. The AISI 1008 steel was the worst among the steels investigated. 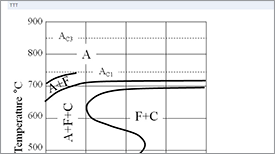 Furthermore, the carbon potential of the atmosphere for the SCM 415 steel should be controlled lower than that for the SNCM 220 steel if the same carbon concentration in the work surface is an essential requirement. 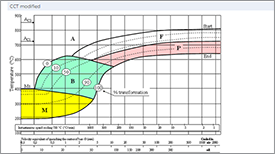 The plain carbon steel AISI 1008 required the highest carbon potential among the three steels. 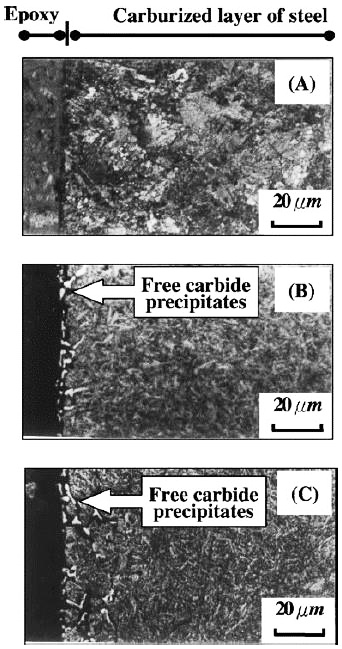 Figure 1: The cross-sectional metallographic pictures of the carburized layer of specimens: (A) AISI 1008 (B) SNCM 220 (C) SCM 415. 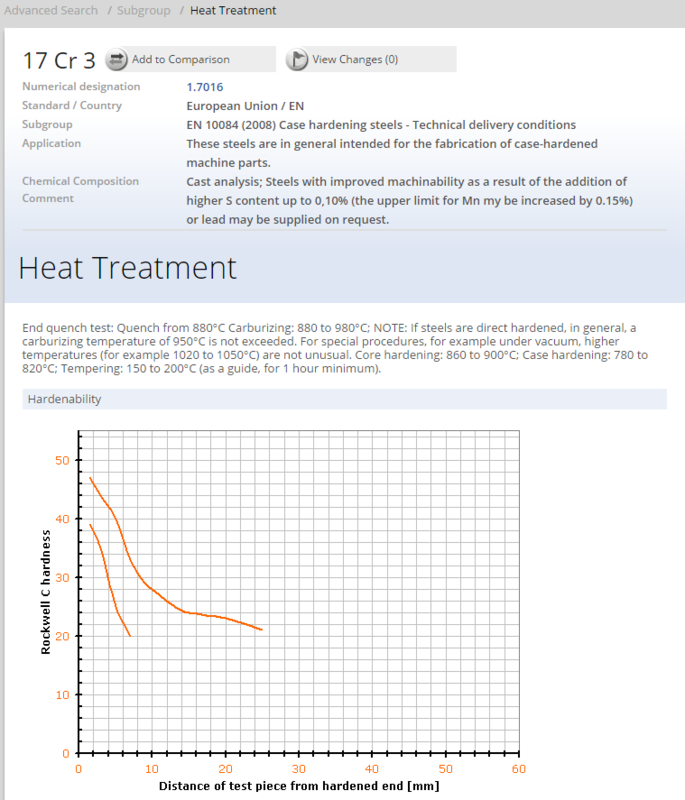 The carburizing was conducted at 1000°C for 1 h at 5 Torr acetylene pressure. After carburizing, the specimens were held at 830°C for 20 min and then quenched into an 80°C oil bath and followed by 2 h×180°C tempering. 5. 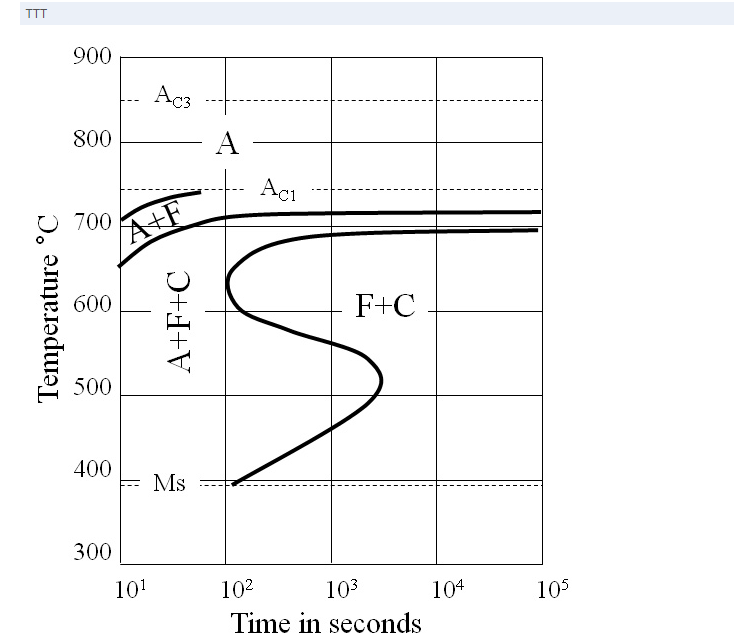 L.-D. Liu, F.-S. Chen: The influences of alloy elements on the carburized layer in steels using vacuum carburization in an acetylene atmosphere, Materials Chemistry and Physics 82, 2003, p. 288–294.